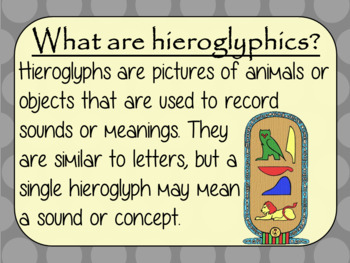 Teach children about Ancient Egyptian Hieroglyphics. 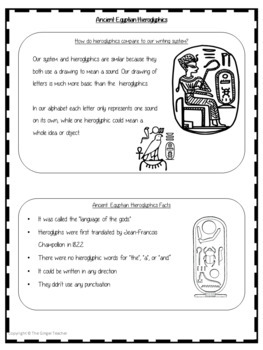 This download is a complete lesson with resources to teach children about the Ancient Egyptian use of Hieroglyphics. 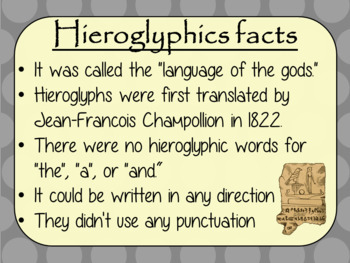 The children will learn what they were, why are they are important and one look at the difference between our writing system and theirs. 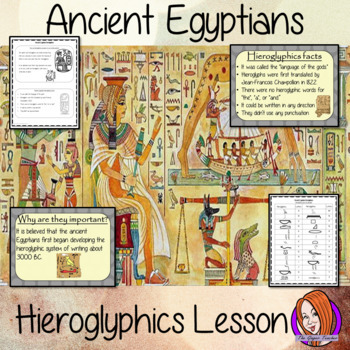 There is a detailed 22 slide PowerPoint and four versions of the 6-page worksheet to allow children to show their understanding, along with an activity to write in hieroglyphics.